Hyundai's hot hatch rival to the Focus ST and Golf GTi is nearing production. Hyundai has been teasing its i30 N hot hatch for some time now. Set to rival the Ford Focus ST and Volkswagen Golf GTI, the i30 N marks the first of several new cars under Hyundai’s new performance N brand and is edging closer to production. After being put through its paces in Sweden with World Rally Championship driver Thierry Neuville behind the wheel for winter testing, Hyundai has now unleashed the hot hatch out onto “roughest roads” in the UK. Based on the new generation Hyundai i30, the i30 N is developed from the ground up to “deliver maximum fun to drive on the road and on the track.” In case you were wondering, the ‘N’ stands for Namyang, Hyundai Motor’s global R&D Centre, and the Nurburgring, which needs no introduction as one of the most demanding race tracks in the world. After this, two “close to production” i30 N cars will enter the ADAC Zurich 24-hour race at the Nürburgring at the end of the summer for further testing ahead of its public debut later this year – all bets are on the i30 N making its grand entrance at the Frankfurt Auto Show this September. Both prototypes will feature a 2.0-litre turbo engine and six-speed manual transmission, matching the powertrain and transmission of the final production i30 N. The standard car is expected to pack 250 hp, which can be upgraded to 275 hp with an optional performance package which adds an electronically controlled mechanical limited-slip differential among other upgrades. Still no word on a US launch yet, sadly. Does Hyundai have what it takes to enter the performance sedan game? 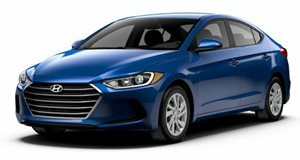 The Hyundai Elantra is a very good compact sedan all-rounder. As are many of its chief rivals.